Uses: Foundation plantings, specimen plant. 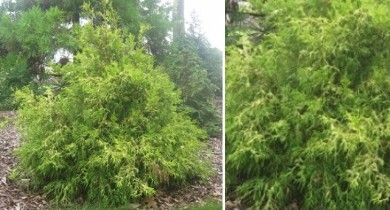 Features: Yellow evergreen foliage holds its color well in full sun. Low, semi-weeping habit. Deer resistant. Soil: Moist, loamy soil. Likes humidity. Pruning: Little needed. Trim in early spring.